Got up a bit late at 7:30 – I needed to be up by 6 and out the door by 7:30 – I got a good sleep so that is ok. I stayed with these two great ladies in their house just on the outskirt of Ithaca, a very peaceful place it was like being in the countryside just minutes from a city. Starting the day with a nice downhill ride into Ithaca I passed through and started an uphill climb, after the initial climb it was mostly rolling hills tills I got closer to Scranton were there was longer climbs with long downhills. The ride was a quiet one, I rode through small villages throughout the day and was mostly by my self, traffic was light a very uneventful day. 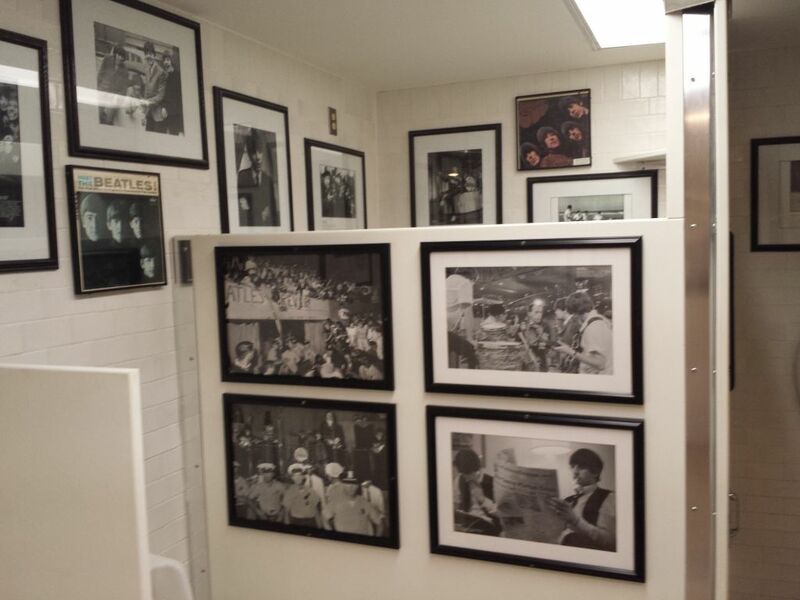 When I got to Scranton I had a meal at Cooper’s Seafood House – I got mesmerized by all the signs and the decorations, in the men’s bathroom was like a Beatles museum with pictures from their first visit to the USA. I got to my final destination Dunmore, Dunmore is a borough in Lackawanna County, Pennsylvania, adjoining Scranton. I meet with my host Marlene, and she showed me the room I would stay in. We shared an easy conversation about many similarities in our families and about his work. Marlene is friendly, easy-going and respectful, she is a perfect host. Here are some pictures that I took along the way.